A customer wanted to put their branding and nutritional information on a decorative food tin. Applying a standard label compromised the design of the tin, but if the customer removed the label, there was some adhesive residue. 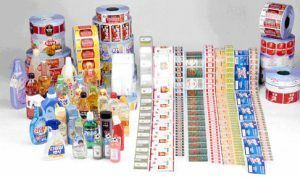 The customer switched to a repositionable label, which can be applied and re-applied to almost any surface without leaving any residue. The artwork on the tin was not harmed and the company information (logo, website, phone) was clearly communicated and handy when it was time for a re-order. In this case, the customer added a promotion code to the label for a future purchase, which helped drive sales.